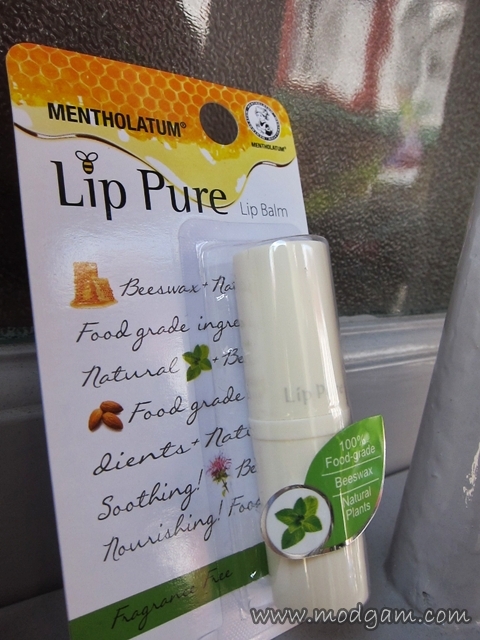 Having problems with dry, chapped and cracked lips that cause irritation and bleeding? Wetting your lips with your salvia will only worsen it. Moisturising it often with a good lip balm will not only prevent these problems, it helps make your lips look more attractive too. 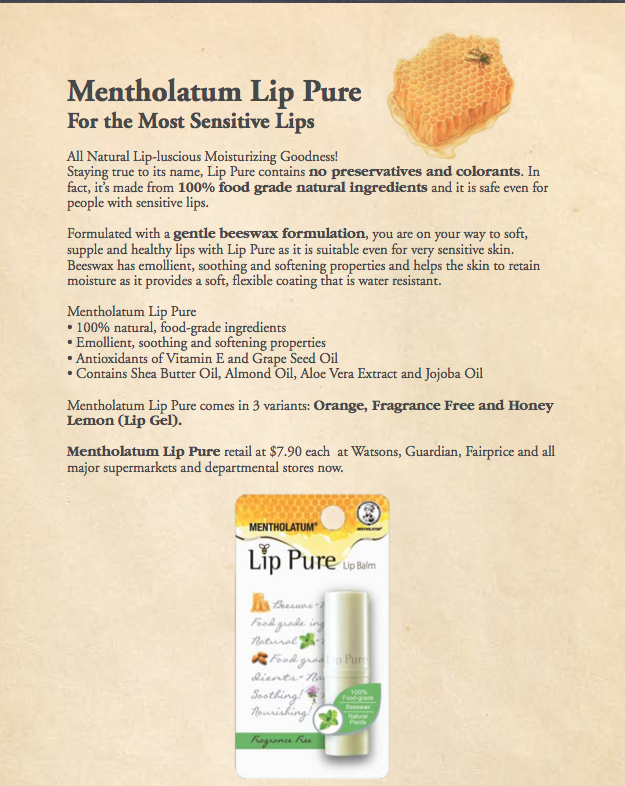 Mentholatum has recently launched its latest Mentholatum Lip Pure series and I’m happy to receive 2 of their latest product for review. 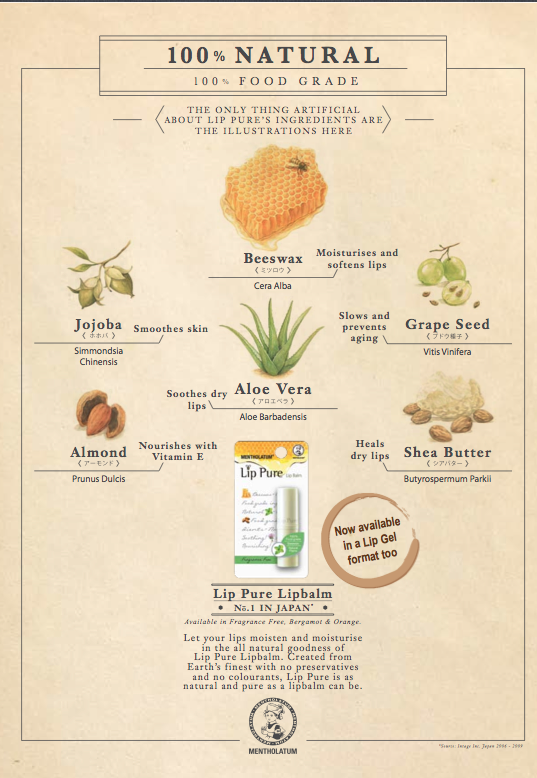 I am sweet tooth and I love honey so you can imagine the delightful feeling I felt when I saw this Honey Lemon Lip Gel! 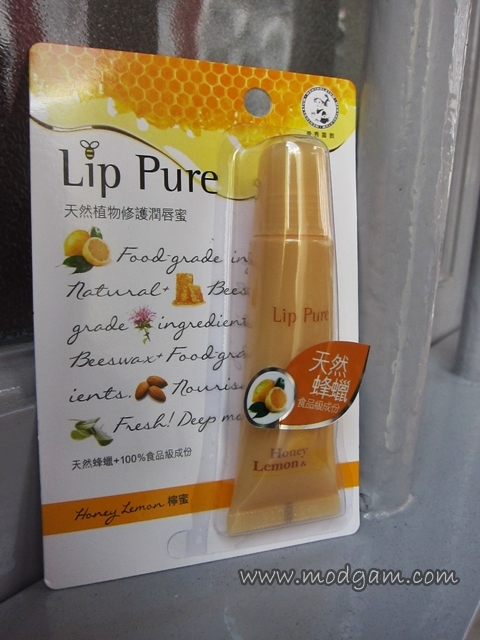 I was even more excited and happy when I felt the hint and taste of honey and lemon after application. I notice there is a slight sheer glitter and I love how “bling” up my lips look. My lips now smell sweet and they look pretty too! The packaging is convenient to use, the price is affordable and you can easily purchase one at a drugstore near you. 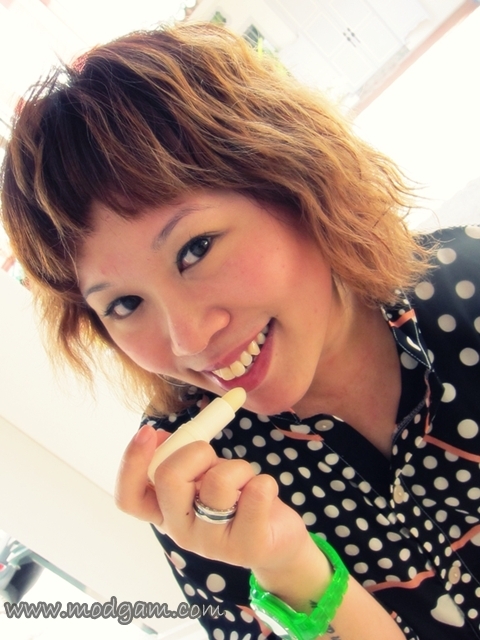 Its smooth to apply and I realise the dry areas on my lips feels a lot better after applying. After about 10mins, the dry area is no longer itchy nor painful. I love how fast its being absorbed by my lips. Since its fragrance free, it’s very suitable for people with sensitive skin. Impressive! I was 1st sceptical when I saw how thick the lip balm was till I tried applying cos its so easy to use, all I need it to swipe it once across my lips and I’m done. It is so convenient to use, the price is affordable and you can easily purchase one at a drugstore near you.